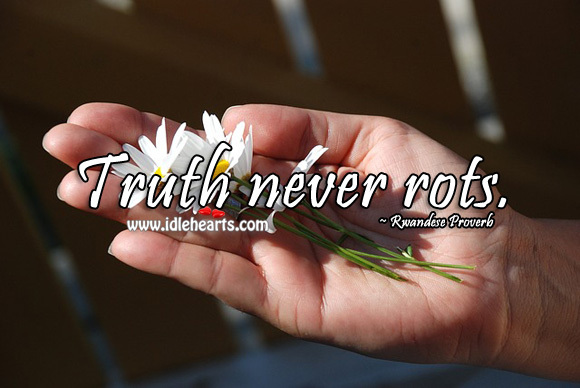 Collection of famous Rwandese proverbs, true sayings and wise words. Use words and image sayings to keep you moving forward! 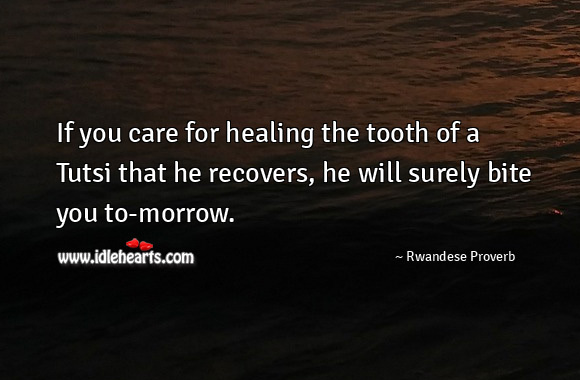 If you care for healing the tooth of a Tutsi that he recovers, he will surely bite you to-morrow. 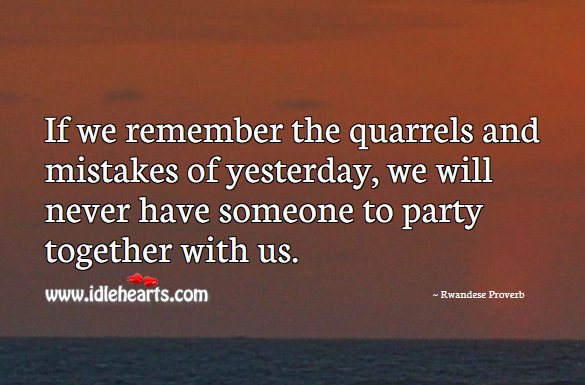 If we remember the quarrels and mistakes of yesterday, we will never have someone to party together with us. 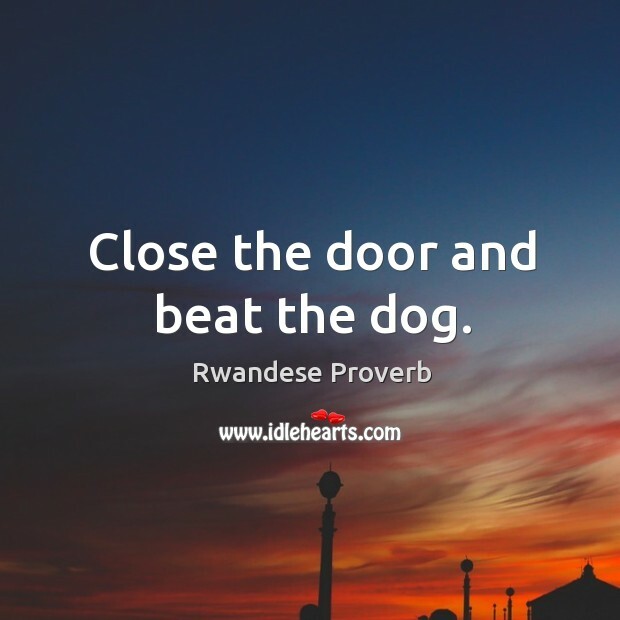 Close the door and beat the dog. 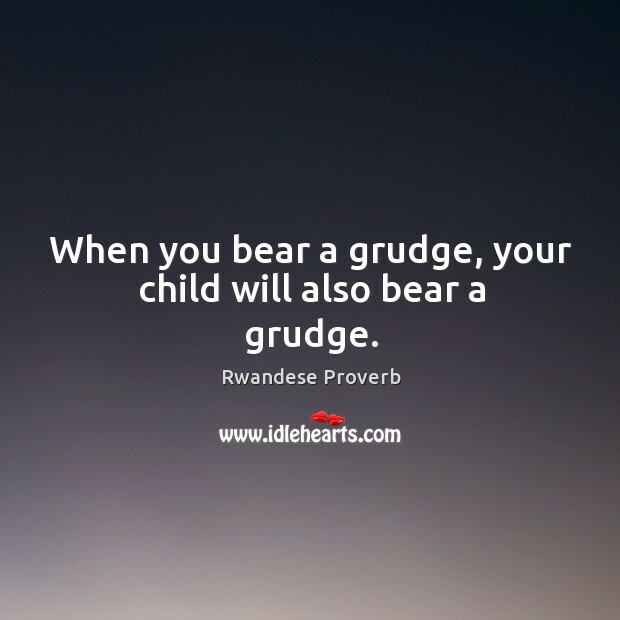 When you bear a grudge, your child will also bear a grudge. 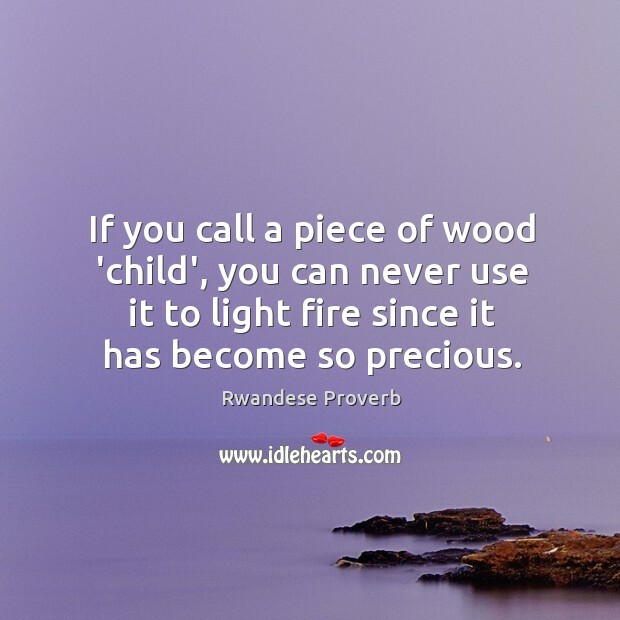 If you call a piece of wood 'child', you can never use it to light fire since it has become so precious. 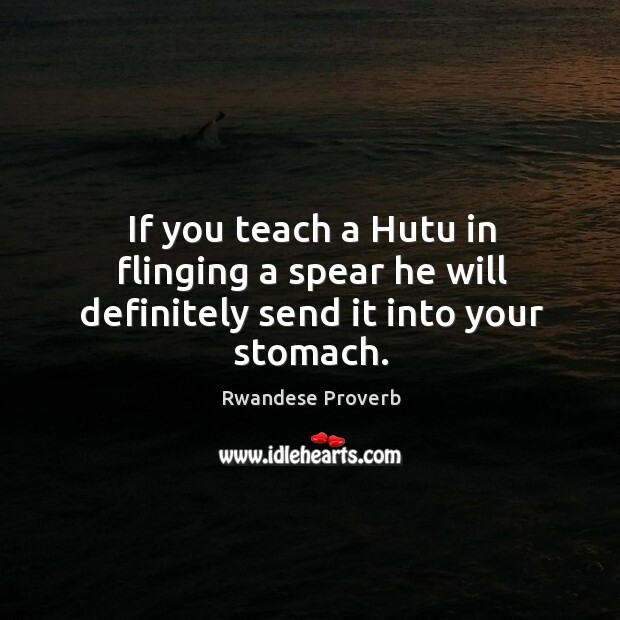 If you teach a Hutu in flinging a spear he will definitely send it into your stomach. 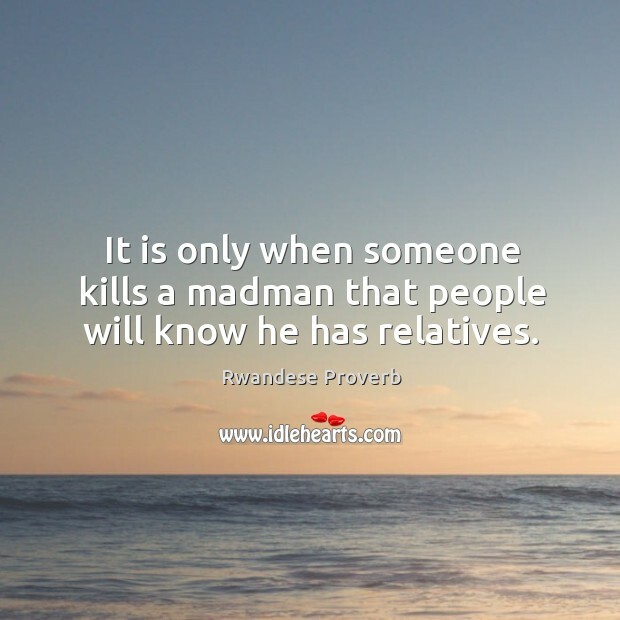 It is only when someone kills a madman that people will know he has relatives. 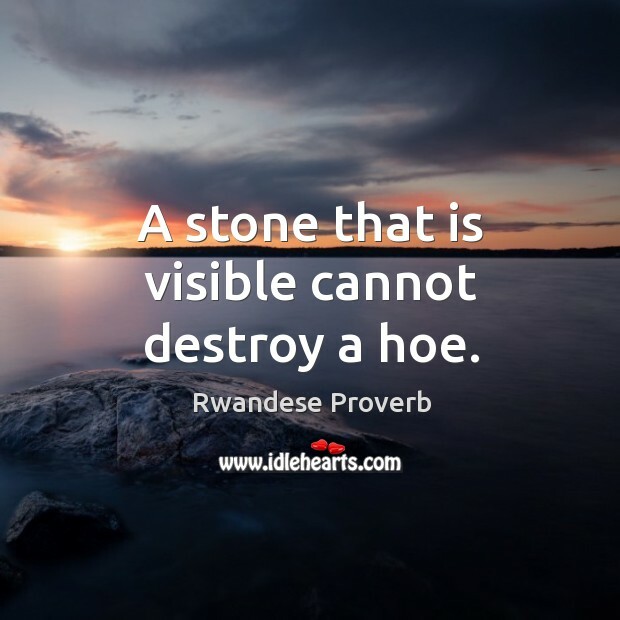 A stone that is visible cannot destroy a hoe. 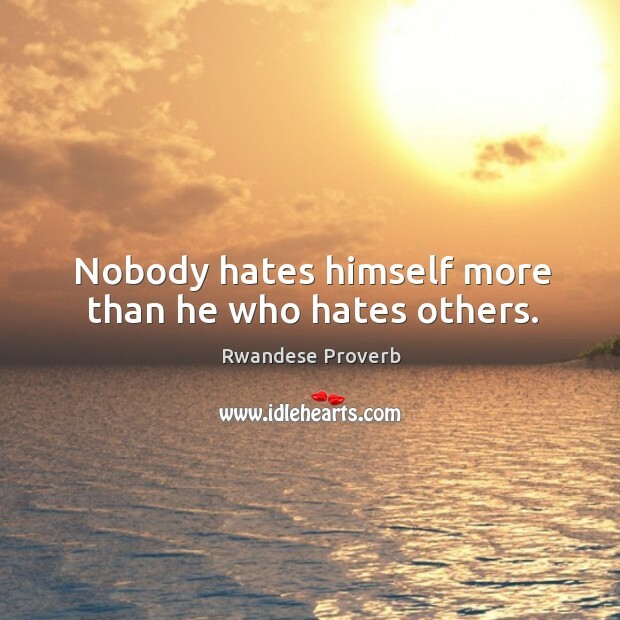 Nobody hates himself more than he who hates others. 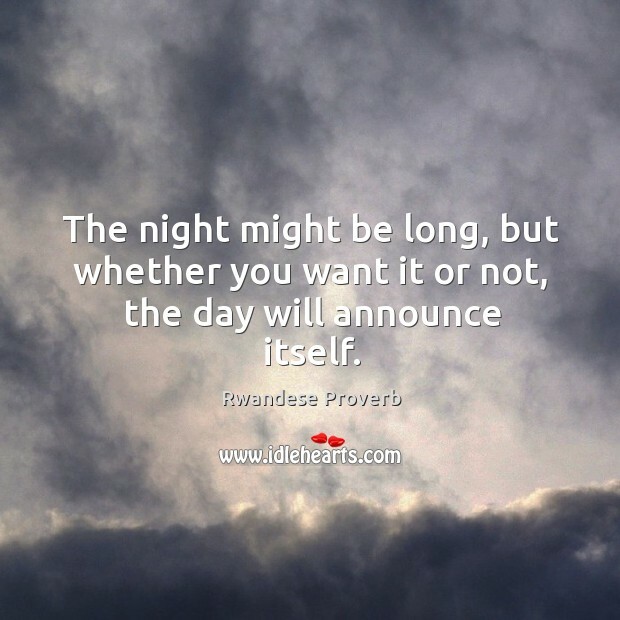 The night might be long, but whether you want it or not, the day will announce itself. 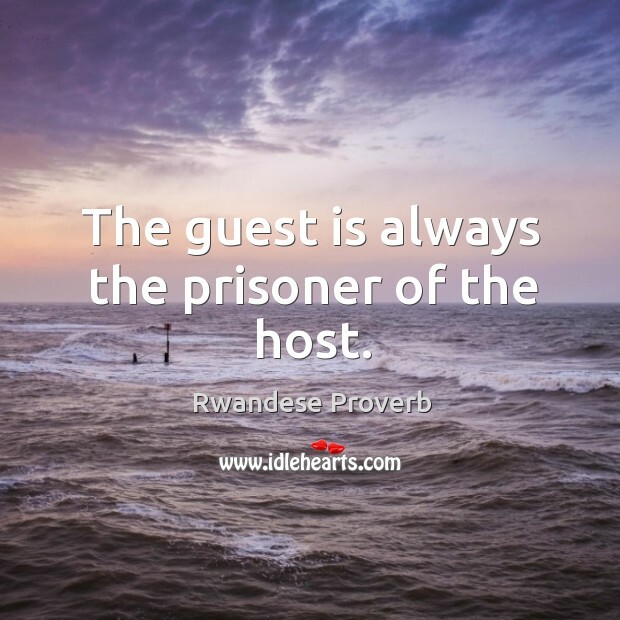 The guest is always the prisoner of the host. 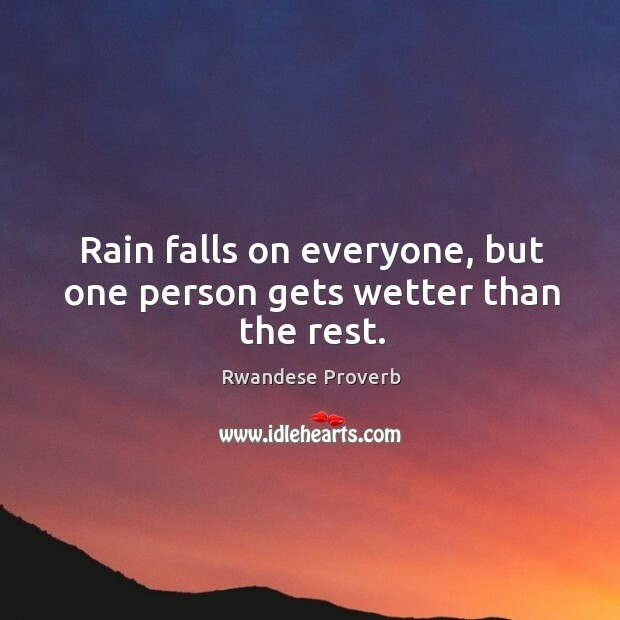 Rain falls on everyone, but one person gets wetter than the rest. 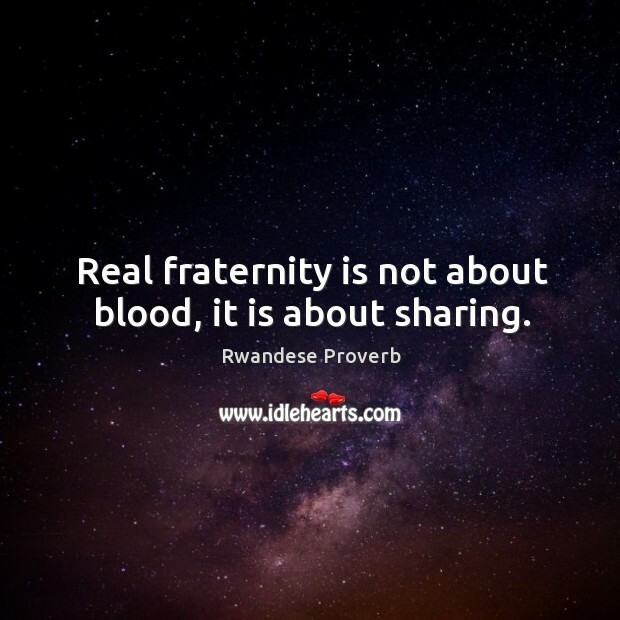 Real fraternity is not about blood, it is about sharing. A hoe made small from loving work came to visit and together we cultivated our relationship. When united everything is possible. 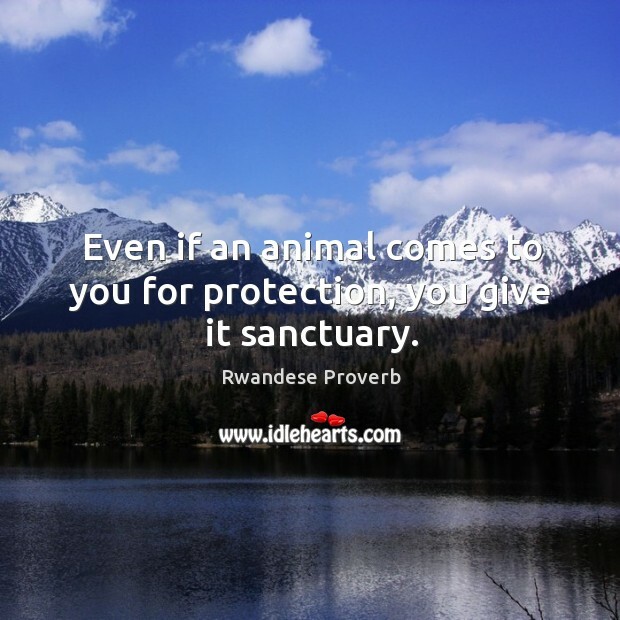 Even if an animal comes to you for protection, you give it sanctuary. 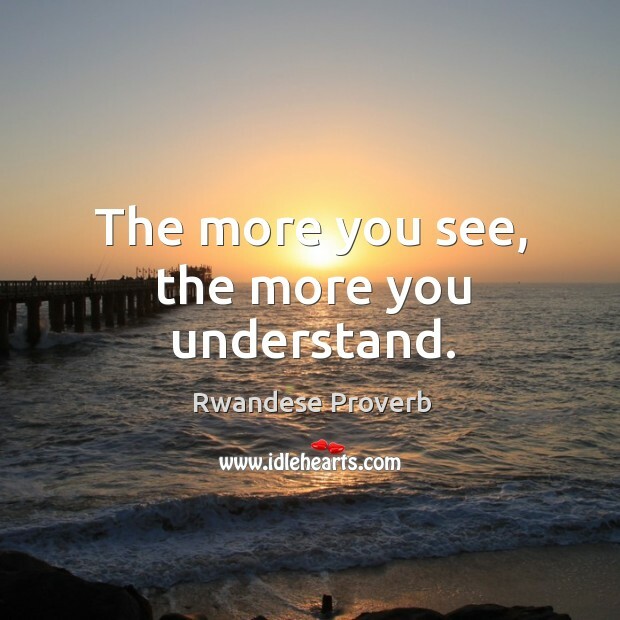 The more you see, the more you understand.